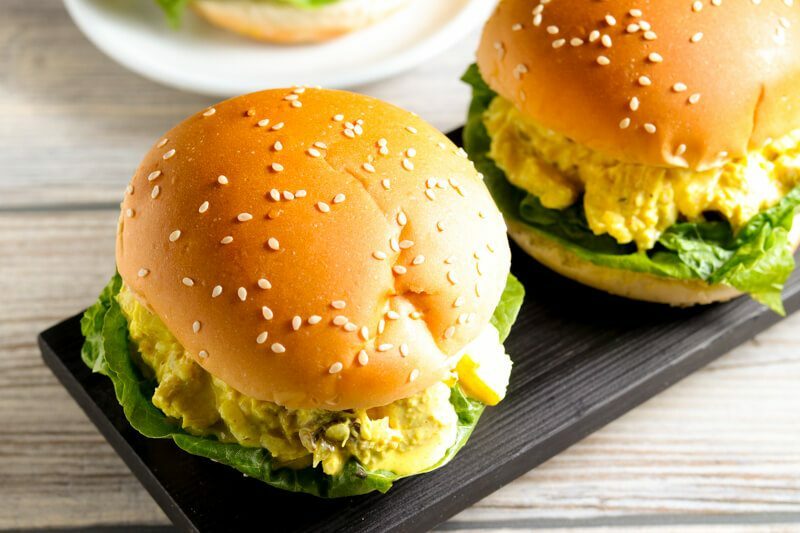 Give your simple chicken salad or sandwich a completely unique twist with the addition of curry powder and pineapples. Curry lovers would surely love this! 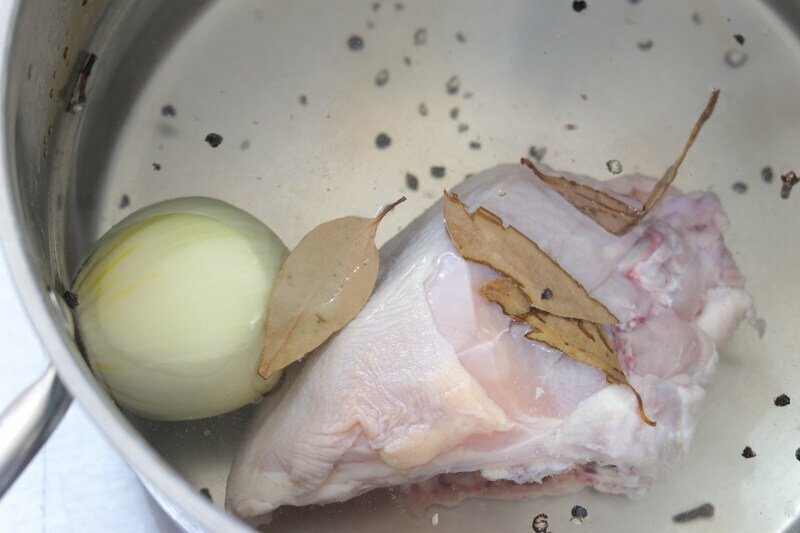 Boil the chicken together with the onions, bay leaves, black peppercorns, cloves, and salt until fully cooked. Take the chicken out of the pot and leave until cool to handle. 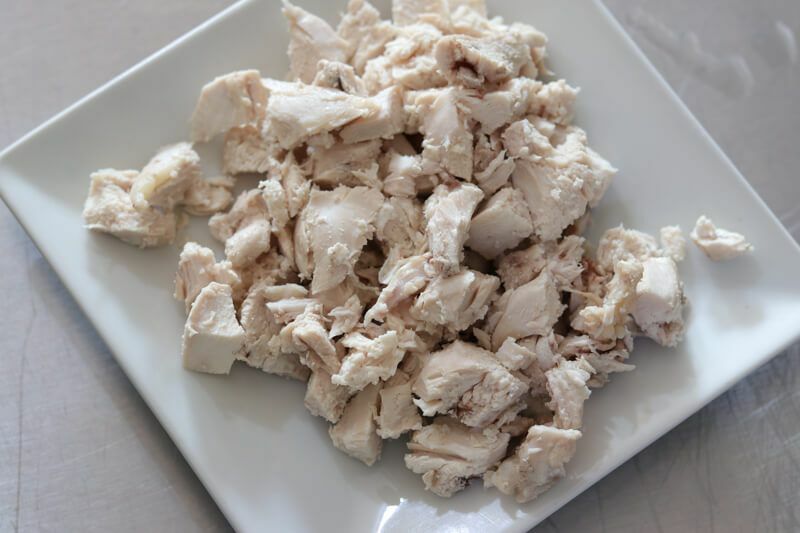 Debone the chicken breast and cut into cubes. 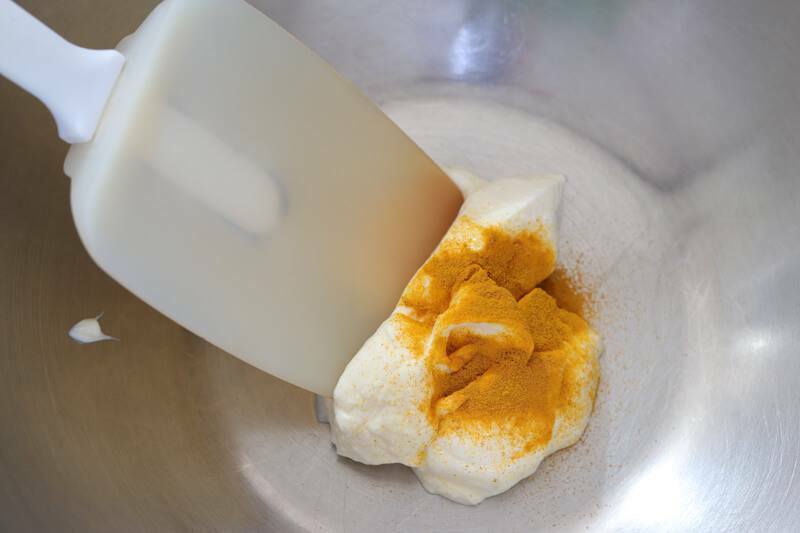 Whisk together the mayonnaise and curry powder in a bowl. 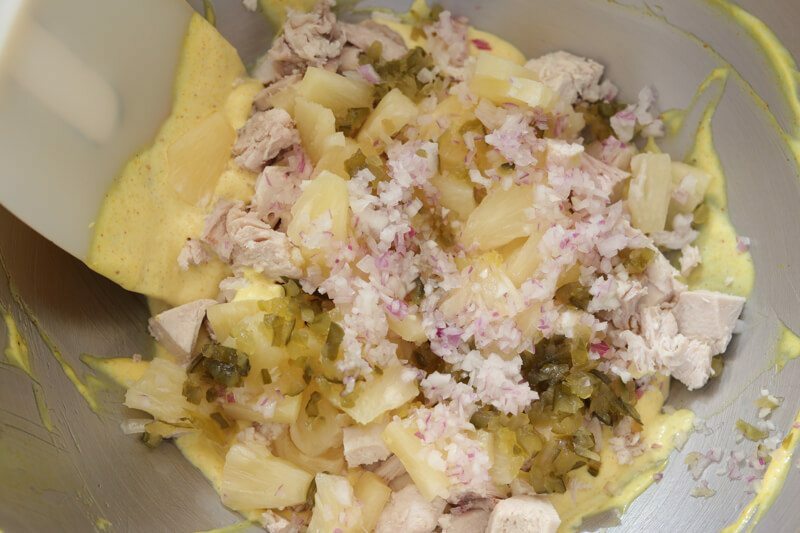 Toss in the chicken, pineapples, shallots, and gherkins. 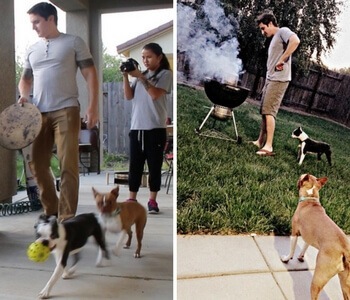 Having landed this page, I assume that you do like the flavor of curry. . . and if you love it like I do, I think you would have to agree with me, that curry, whatever type it is, has the ability of instantly making any simple dish more interesting. 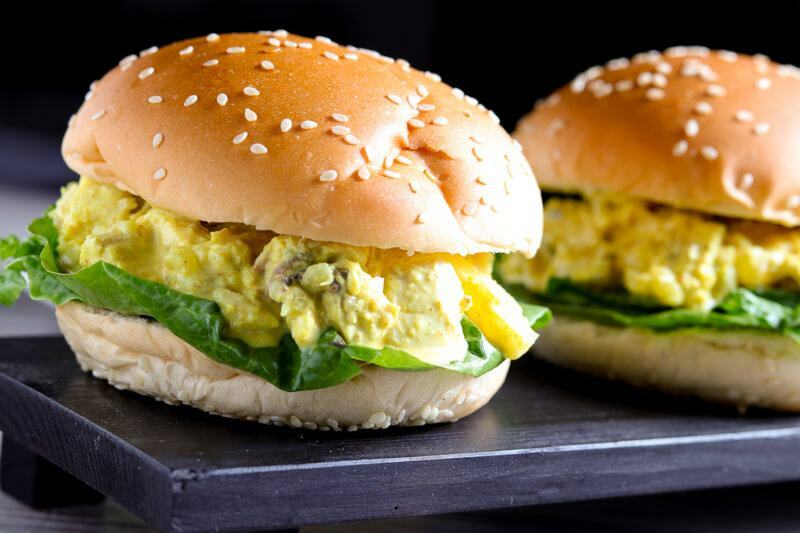 I'd also assume that you most probably have an idea how wonderful this chicken sandwich would turn out. In fact, you most probably would be hitting yourself in the head for not having thought of this simple idea. 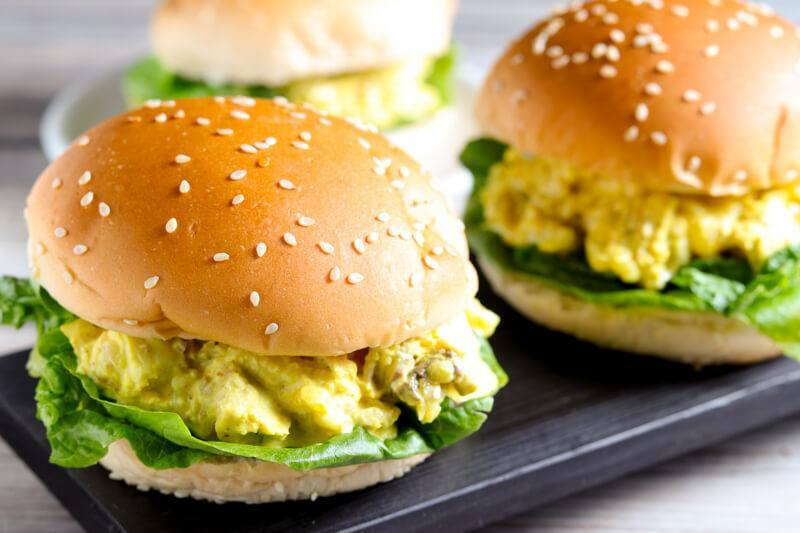 While this recipe relies heavily on the curry mayonnaise for its uniqueness, we'll do add some complementing flavor to our chicken too. Simply get the chicken breast boiling in a pot of water together with some aromatics. Onions, bay leaves, peppercorns, and cloves would be a good combination. With the flavor profile of a typical Indian chicken curry dish in mind, some cardamom pods, cilantro stems, or star anise would also be worth adding at this point. 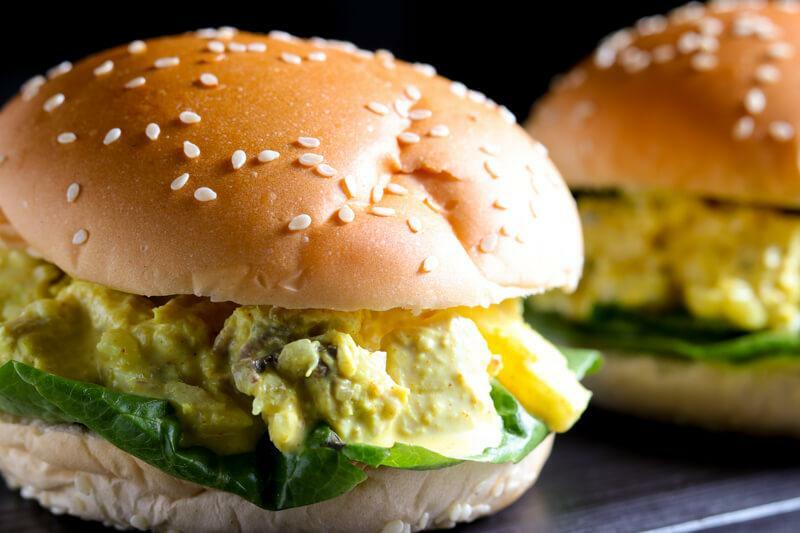 It'll be all about adding a layer of fragrance to that chicken meat for it to blend in perfectly with our curry dressing. About 15 minutes should be enough to get a chicken breast fully cooked. Longer than that and you'll end up with chicken meat that is too dry. Take the chicken out of the pot and submerge it in an ice bath to stop any further cooking. Take the meat off the bones and cut them into good-sized chunks. You may also want to save the stock for some other recipes later. That would make a good flavor base for a number of dishes like a soup, lentil stew, or porridge. For our dressing, simply stir together mayonnaise and curry powder. 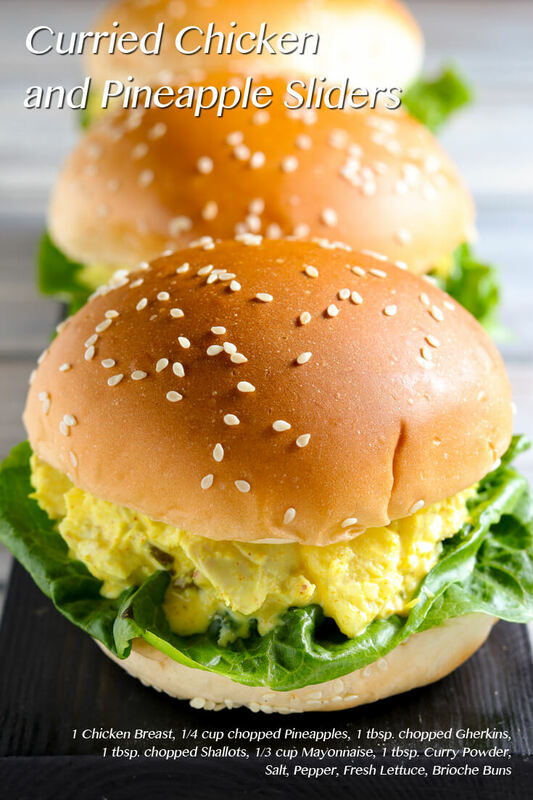 I have been going for Japanese mayonnaise(such as Kewpie) lately for my recipes because I find its taste to be quite close to something home-made – tangier and less sweet. Time to get the rest of the components in – chopped shallots, pickled gherkins, and pineapple tidbits. In case you don't know yet, curry and pineapples do make for a very interesting flavor pair. Consider adding more elements in here – some chopped jalapeños for heat, herbs such as cilantro or parsley for freshness, or some lime juice for more tang. Fold everything together and season with salt and pepper as needed. Finally, assemble the sliders, getting some fresh salad greens in for texture and freshness. That curried chicken and pineapple filling would also make for a very excellent cold salad. Simply toss in some cooked potatoes, hard-boiled eggs, diced tomatoes, and some good cheese.